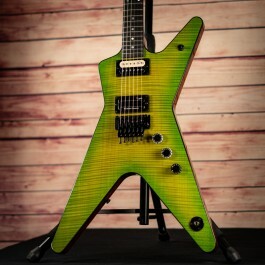 Dean USA Custom Shop ML "Dime Slime" Guitar. This is a one-off hand-crafted guitar features an Original Floyd Rose trem, AAAA Flame Maple Top, Dime Slime finish, Mahogany body, Ebony fingerboard, Set-in Dime Spec Mahogany neck, Pearl inlays, Black hardware, Bill Lawrence XL500 pickups, hard case and more. 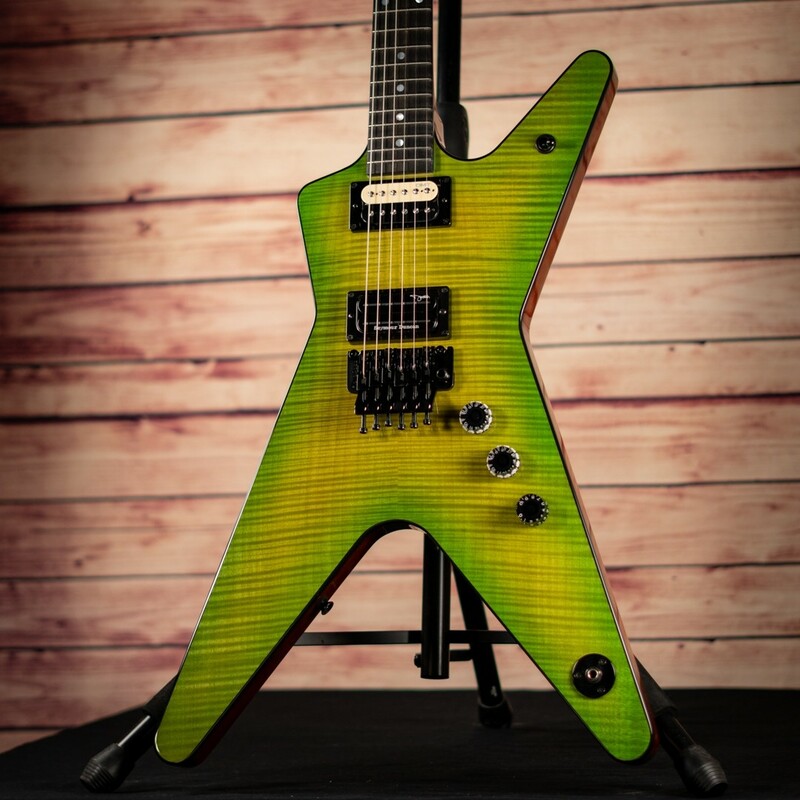 Not to be confused with the import model, this USA guitar is an extremely high-end instrument built by Dean's custom shop to the highest standards. 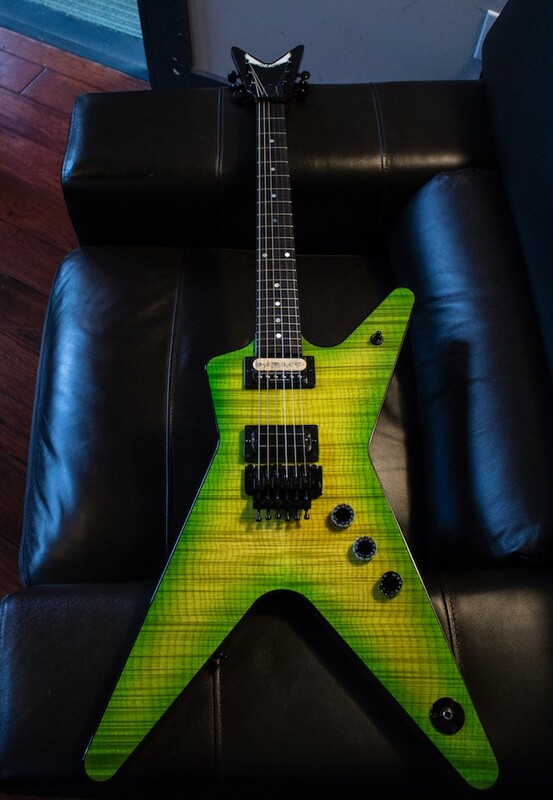 Whether or not you're a fan of Pantera or not, this is a spectacular guitar that can excel for any style. It has a thick, punchy sound with rich harmonics that shines for both crushing rhythms and juicy lead tones. This is a truly special one of a kind guitar and whoeever purchases this guitar will be extremely happy with it, guaranteed! The Axe Palace is an authorized Dean dealer and we specialize in their USA models and Custom Shop guitars. Whether you're after a production model or a custom shop guitar built to your specs, we can help you make that happen. We always strive to have a nice selection of unique Deans in stock and always have more on order. If you have any questions about these guitars, we would be very happy to assist you. You can reach our Dean expert by calling 508-921-9973, contacting us via email, or our Facebook page.